At Aesthetic Surgery Center of North Texas, J. 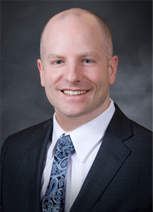 Drew Sanderson, M.D., a skilled plastic surgeon, focuses on cosmetic surgery of the face, eyes, nose, body and breasts. Doctor Sanderson works with each patient to tailor a comprehensive plan designed to meet that patient's personal beauty goals. Botox - Dr. Sanderson will assess the patterns of your facial creases and develop an injection plan specific to you, making every attempt to avoid the expressionless look many patients are concerned about when considering botulinum toxin injections. Dr. Sanderson may also recommend other skin care treatments to help maintain a youthful appearance. Request An Appointment - An appointment request can be made online. We will confirm your appointment by e-mail or telephone. Please send your request at least 48 hours before your desired appointment time. Patients may schedule appointments without a physician\'s referral if their insurance carrier allows. Request your Appointment Today! Liposuction - Do you have an area of fat that does not seem to go away regardless of how much you exercise? Do you seem to gain excess fat over certain areas like the hips, love handles, lower abdomen or thighs? Liposuction can often help with these difficult areas. When liposuction is done well these difficult areas are left smaller with a smooth contour. Drew Sanderson, MD has received extensive training in cosmetic surgery of the face, eyes, nose, breasts and body. He is known for his individualized and comprehensive treatment plans as well as dedication to perfection that results in patient satisfaction. Your relationship with Dr. Sanderson will begin during a relaxing, pressure-free initial consultation and continue until you achieve your desired goals.